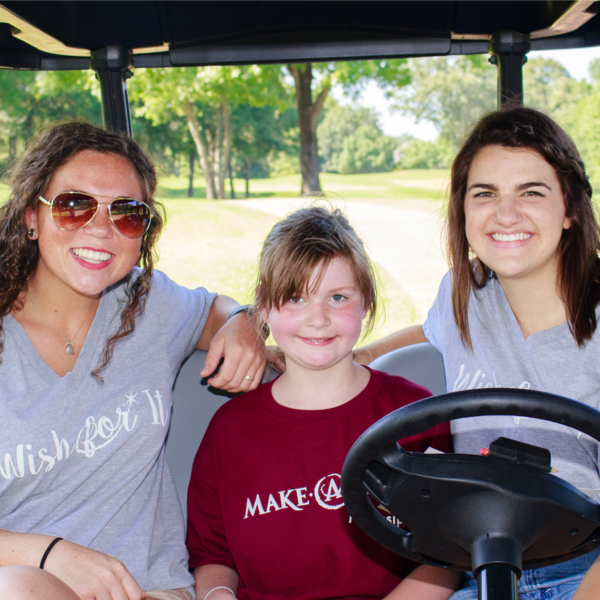 ke a Wish of Mississippi is seeking volunteers to serve as "Wish Granters" in Leake, Neshoba, Kemper, Scott, Newton, Lauderdale, Clark, Jasper, and Smith Counties. A Wish Granter will meet with the child and his/her family to help determine the child's most heartfelt wish while planning special enhancements through the wish process. Wish Granters work in teams of two or three alongside Make-a-Wish staff to ensure every eligible child's wish comes true. • Partner with at lease one other volunteer wish granter to grant the wishes of children throughout the chapter's territory. • Visit the wish child, with the goal of discerning his/her one true wish, while gaining an understanding of the reason behind the child's most heartfelt wish. • Complete and submit wish paperwork in a timely manner according to chapter guidelines. • Create a magical wish experience for the wish child by planning and delivering "wish enhancements" - special, creative touches that keep the child excited about the wish throughout the process. • Solicit in-kind donations, ensuring Make-A-Wish resources are used wisely. •Plan "send-off" party or "presentation" party for each wish, as appropriate. • Develop a positive rapport with the wish child and family by serving as a liaison between chapter staff and the wish family, ensuring the family is updated on the status of the wish throughout the wish process. • Act as a reliable, communicative, and productive member of the "wish team" by working closely with a volunteer partner and Make-A-Wish staff to create the best possible wish experience for the child. • Other duties may be assigned as deemed appropriate. Meetings may take place at the wish family's home or at a neutral location, such as a restaurant or hospital. Typically, wish meetings are scheduled for weekday evenings or weekends based upon the schedules of the wish team and wish family. Departure parties may be planned for the wish family's home or a nearby venue/restaurant. • Wishes are always happening, so this role could be any time of the year. • The average wish requires between 10-20 hours of volunteer work over a span of about 6-9 months. Each wish can vary greatly in the time it takes to grant depending on the requested wish and wish family circumstances. • Most of a volunteer's time is spent communicating both over the phone and via email with our staff, your volunteer partner and the wish families. • Agree to work on a minimum of two wishes per year. • Complete official Make-A-Wish Granter training. • Attend continuing education courses, as offered by Make-A-Wish Mississippi staff. Volunteers are asked to complete a volunteer application and background check. If you are interested in serving as a Wish Granter for Make-A-Wish Mississippi, please contact Vera Johnson at vjohnson@ms.wish.org or 601.366.9474 ext. 1304. Log in to see who is volunteering for Wish Granters of East Central Mississippi!